These routine coastal hazards pale in comparison to what Westport could experience when the next “big one” hits. The notorious Cascadia subduction zone has the potential to generate a magnitude 9 earthquake and a series of tsunami waves that could reach 40 to 50 feet, the first of which would reach Westport in about 20 minutes and continue for a period of many hours. In fact, it was just north of Westport on the Copalis River where scientists first learned about the destructive potential of a Cascadia event, discovering a ghost forest of drowned cedars. This discovery and additional tsunami-drowned cedar sites near Westport provided evidence of a massive earthquake and tsunami in 1700 that inundated the Washington coast and caused the land to drop several feet, killing coastal forests and depositing ocean sand far inland. 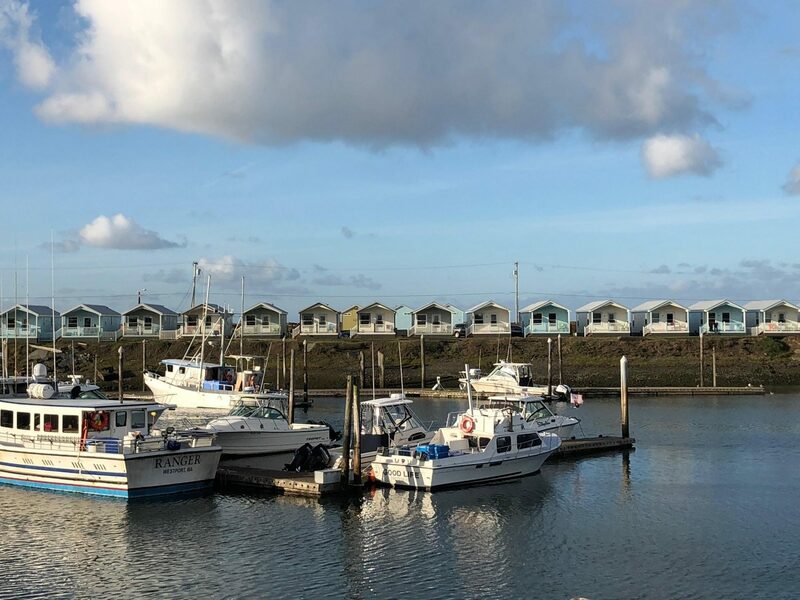 While major earthquakes like this are rare and their prediction is uncertain, flooding caused by sea level rise is inevitable for Westport – like most coastal areas around the world. 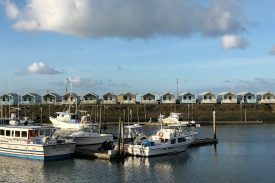 The latest projections from the Climate Impacts Group predict that Westport could see a foot of sea level rise by mid-century. Photo: Westport’s harbor and seaside developments are defining assets of the city (Credit: UW).